Elijah Gill is a 2017 LHP/OF with a 6-1 190 lb. frame from Jacksonville, FL who attends Providence Christian HS. Medium build with good present strength, wide shoulders. Medium effort delivery with a long arm action in back, high 3/4's arm slot, arm is smooth and loose, has some upper body tilt to let his arm through but repeats it well and maintains his direction well, works from the first base side of the rubber to create angle. Fastball topped out at 87 mph, has some arm side run and glove side cut, gets off the barrel with late action. 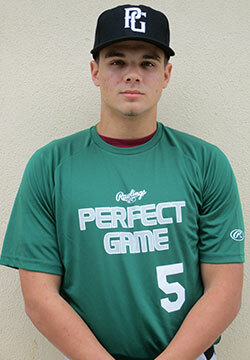 Has advanced feel for his curveball, can vary the shape and location with maturity. Maintains arm speed on change up very well with consistent fading action. Has the ability and instincts to mix and keep hitters off balance with some deception to his delivery. 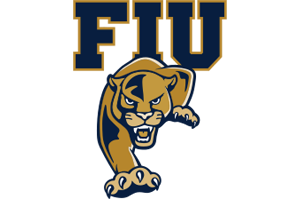 Good student, signed with Florida International.